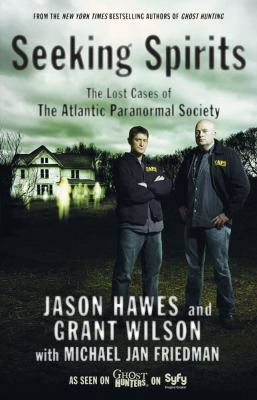 New on the book shelves is “Seeking Spirits: the Lost Cases of the Atlantic paranormal Society”, another interesting works by Jason Hawes and Grant Wilson of the SyFy Channels “Ghost Hunters” fame. These two gentlemen have previously penned the book Ghost Hunting. In the new publication they have teamed up with Michael Jan Friedman to put together stories from the early days of investigating. TV’s popular Ghost Hunters reveal all-new never before-told stories from their spooky early investigations! For the first time ever, Jason Hawes and Grant Wilson, founders of the Atlantic Paranormal Society (T.A. P. S.), share their most memorable and spine-tingling early cases-none of which has ever appeared on television. Beginning with the previously untold experiences that sparked their passion for ghost hunting, Jason and Grant’s bone-chilling investigations uncover. A distraught woman who dreams of paranormal events before she experiences them….and much more! Jason and Grant didn’t always have the fancy scientific equipment and experienced team that fans now watch on their smash-hit television show. As they share their hair-raising first experiences, they offer essential tips for budding paranormal investigators-including how to use an electromagnetic field (EMF) meter and an infrared camera, determine if a supernatural phenomenon is good or evil, and deal with spirits. Whether you’re a skeptic or a believer, these fascinating and frightening true stories will keep you up at night! Features eerie full-color photos from their investigations! Jason Hawes and Grant Wilson are the New York Times bestselling coauthors of Ghost Hunting and cofounders of the Atlantic Paranormal Society (T.A.P.S. ), featured on the #1 SyFy television show, Ghost Hunters. Both plumbers, they live in Rhode Island with their families. Michael Jan Friedman is the author of more than sixty science fiction and fantasy novels. Ten of his books have hit the New York Times bestsellers lists. His latest works are the Ultimates:Tomorrow Men for Pocket Books and Wolf Man: Hunter’s Moon for Dark Horse Press. Friedman lives with his wife and two sons on Long Island, where he spends his free time kayaking, playing handball, and rooting for the New York Yankees. For more on Jason Hawes and Grant Wilson and the T.A.P.S. team, visit their official website at http://www.the-atlantic-paranormal-society.com/. We took baseline readings of the entire building prior to beginning our investigation. Everything was within normal limits, nothing was higher than a .5-.6. All night long we had very interesting activity with our K2 meters. Our team split into 3 groups of 2 each and spread out throughout the building, each focusing on a hot spot. Whenever we would start EVP sessions and would start asking questions the K2 would light up in response to certain questions. This happened throughout the investigation and a lot of it was caught on video. What we found most interesting is that the K2 activity would only happen for the male members of the team. If jenny and Jennifer started to ask questions all activity with the K2 would cease. This happened numerous times. One of our most interesting pieces of video captured to date occurred on the investigation. We normally do not us e a ghost-box because a ghost box is basically a radio that has been altered to never stop at one particular station. The theory is that the spirits can us the radio interference to “speak” though the ghost box. For us that is just too random as we try to use equipment that lessens all outside interference as much as possible. However we brought one along on this investigation to more or less play with. Jenny and Jennifer brought the ghost box to the upstairs staff break room and started an EVP session. Jennifer began by asking whatever might be there to show us what they can do, let us know that this ghost box is really something and not just random words blurted out. Jenny asked what is your name and shortly after we hear a fairly clear voice say me? Jenny laughed and said yes you. Shortly after Jenny spoke the words my –name – is, came out one right after the other. Jennifer was shocked and asked Jenny if she heard it and as soon as Jennifer finished speaking the name Jenny was spoken. They were both shocked because not only were they getting direct responses to questions asked but it also called Jenny out by name. 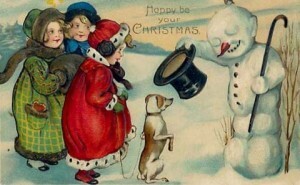 Jenny continued with “Well that’s my name, what’s yours” and the name Anne was spoken. After that nothing else came over. Can we say this is paranormal? No. But by far this is some of the strongest evidence we have ever had as far as answering specific questions. We had numerous audible occurrences during the investigation. One of the biggest occurred in the Multi-Purpose Room. We had our home base in the Multi-Purpose Room and there was usually at least 1-2 people in the room at all times. The curtain on the stage was closed and behind the stage were various pieces of equipment such as a piano and also a cart on wheels. Every member of the team heard what sounded like the cart wheels squeaking. This happened numerous times throughout the night. We had a voice recorder approximately 3-4 feet away from the cart and it very faintly captured the sound once. While the entire team was in the Multi-Purpose Room taking a break to eat dinner the anti-theft alarm at the front door started going off. We got up to see if we could find an explanation for the alarm going off but could find none. The only way we could recreate it was by bringing a book through. It could’ve been a quirk however it only happened once during the entire 5 hours we were there and the library staff says it doesn’t normally go off by itself. Jennifer and Joel heard a voice in the Women’s Restroom during an EVP session. Jennifer asked the question “How long have you been here” and at first she thought she heard a sigh or heavy breath. However, upon review of the audio, the “breath” was actually a very breathy “forever”. While the entire team was up in the staff room we heard a scratching noise on a lampshade that was approximately half a foot behind Jennifer’s head. None of us touched the lampshade at any time and we have no explanation for what we heard. This was captured on our voice recorders. Lastly we captured what sounds like a woman screaming while in the Multi-Purpose room. This happened at the same time we were getting responses to questions with the K2 meter and Josh was experiencing the cold chills/electricity feeling. This was one of our more active investigations. We were experiencing things from almost the minute we arrived until we packed our equipment up. We feel that the library definitely has paranormal activity. It has been well documented by library staff, patrons, other paranormal investigation teams, and the PI-Team of Utah. I also received one video clip of the PI-Team of Utah in action. Check it out. Special thanks to the members of PI Team of Utah for taking the time to travel all this way to investigate our library. They are a professional team in all ways and I hope to keep a strong working relationship as time progresses.